While I have knowledge and experience as a psychotherapist, educator, parent coach, and as a parent myself, there is no way for me to be an expert at parenting YOUR child. I can only work alongside you. 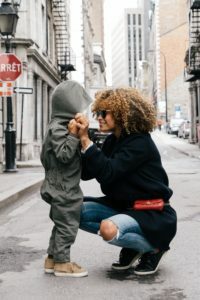 I really believe there is no such thing as a “parenting expert” because to be an expert about a child you must know the child individually and as they develop – across their lifespan. Don’t panic, you can still get support and guidance as you walk beside and guide your child. You are the expert…alongside your child. As long as you remain curious, as long as you remember that they are learning every moment, as long as you remember they will make mistakes their entire lives, and as long as you remember to trust them – you are the parent expert. They are the expert on themselves, and you are growing in expertise as you try to understand and respond to what is going on underneath their words and behaviors. They like eggs one day and not the next? You trust them and remind yourself that sometimes you don’t want something specific for breakfast either. You also get curious about it – are they feeling disconnected and trying to find a way to connect with you? They continually hit you in the face? You trust that they’re communicating their feelings and don’t yet have the skills to tell you another way…yet. What information do they need in order to grow those skills? They can’t get themselves dressed at age 5 even though their 3 yo sibling can? You trust that they’re developing those skills at their own pace. What can they do and how can you help them learn the next step? They have a massive meltdown every time you go to Target at 10a? You trust that something is getting in their way: the time of day, the sensory stimulation of Target, the disappointment of not getting a coveted toy, etc. What can you do to support their needs? 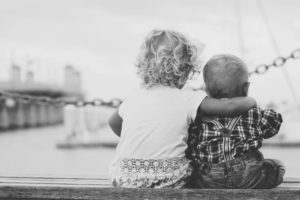 You and your child (each one individually) are in a relationship in which you are challenged to trust each other innately – it is not always words and behaviors that matter, rather it is the intent behind them. And trust grows – it ebbs and flows like the phases of the moon, and all you can do is notice and breathe. Stay curious. Respond with love. Be kind to yourself. Try again. Repeat.